Saferxmd.com Review – What Happened to this Shop? Saferxmd.com was a former web platform dedicated to selling prescription and non-prescription generic and brand name medications for a plethora of medical uses. During my last visit to the shop though, the store’s now closed – more specifically, its domain was seized by the government and in place of its former store was a glaring message stating that Safe Rx MD’s domain was seized since it was a hub for counterfeit medicines. There was no other information on Safe Rx MD’s former website, like details concerning its offense. 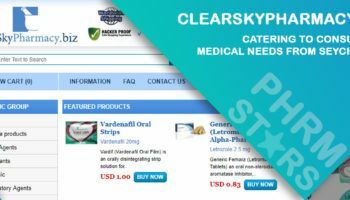 It is a common trend that online pharmacies offering cheap generics to patient’s are not given a chance due to a campaign launched by big pharmaceutical companies in the US and supported by the FDA in order to protect exorbitant prices for their branded drugs. Because the store Safe Rx MD is now gone, I had to use another web platform to discover more details about the former web pharmacy. Using the internet archive as a reference, I was able to unearth information for the store. According to the saved web captures on the web archive, the earliest information for the Safe Rx MD store was found on 2010, while the last input for the shop was in 2017, which means that the store had a good 7 years of service (at least that’s what the internet archive shows – Safe Rx MD’s service could be longer). However, it’s hard to confirm when exactly Safe Rx MD’s service started given its limited information on the archive platform. I think Safe Rx MD looked familiar and it’s perhaps because of its templates – it had the web pharmacy template that most of the stores I’ve come across have. Safe Rx MD listed its products according to their relevance (according to the medical conditions they treat) and posted items such as generic Viagra, Kamagra, generic Priligy, and many more on its main page. This store featured low prices since its items were mostly generic. For instance, instead of the more or less $80 per pill for Viagra 100 mg, the store offered various generic Sildenafil Citrate alternatives that were no more than $5 each. 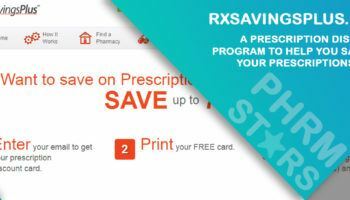 Safe Rx MD has also made ordering easier – it did not require its consumers to register before ordering – consumers just had to check out and follow the instructions. According to Safe Rx MD, consumers had to pay via ACH E-checks and credit cards (JCB, Diners Club, Discover, VISA, and MasterCard). However, I noticed that the shop redirected the consumers to a “partner store” instead of processing the orders on the site. It was odd considering the partner store was the same Safe Rx MD shop, only sporting a unique template. The store offered a live chat support option, several phone numbers, and even a messaging option. However, these contact avenues are now useless considering the store’s present status. The original site Saferxmd.com had an inaccessible reviews section, but the store it redirected to, Saferxmd.net, had visible “testimonials” from alleged consumers. Since the stores were almost identical, I assumed that the reviews on the Saferxmd.com site were the same as those which were on the Saferxmd.net website. I wasn’t too surprised that the reviews on Safe Rx MD were positive, given that they were only found on-site. Customers like “Susan” mentioned that the Indian herbal product she purchased from the shop helped her lose weight. Charles, on the other hand, attested to the effectiveness of the anti-smoking drug he purchased from the site. Although the comments were positive, I felt that they were not ones I should fully trust since they are unverifiable and may be crafted by the shop for its benefit. There were no dates for the reviews on Safe Rx MD, so I can’t really tell the old and the recent ones apart. However, I know for a fact that since this shop is now closed, it can’t have 2018 reviews from its consumers. I searched the web for available buyer testimonials from third-party platforms. Sadly, there were none. However, the store apparently has received attention from several bloggers, although their feedback for the shop was mostly negative. According to the banner from Safe Rx MD above, customers were offered free pills by the store whenever they were able to purchase at least 20 erectile dysfunction pills (generic Viagra, Cialis, or Levitra). Safe Rx MD has also offered free shipping to consumers – free Airmail shipping for orders greater than $150. Other discounts were also available, like for instance, discounts for loyal/returning buyers, discounts for customers who were able to successfully refer their friends to Safe Rx MD, and survey discounts. Buyers were given anywhere from 5 to 10% discount depending on which promo they qualified for. Safe Rx MD was seized by the government and according to the notice found on the site, it was a casualty of Europol’s drive to eradicate cheap generics sellers on the web. However, there were no details posted on Safe Rx MD regarding its reprimand or its owner’s arrest. Safe Rx MD ran for 7 years (maybe more) and perhaps has attracted a good number of users from all over the world. If you’re one of the faithful clients of Safe Rx MD and looking for a new store to use, you can consider sites included on our list of TOP Web Vendors – fully functional sites with the lowest online prices for FDA approved medicines and other medical supplies.